Rare One-horned Rhino is found death in the Chitwan National Park in 2nd April, 2017. The Rhino was shot dead by the poachers which shows threats to the Endangered Species. This is a very unpleasant news to the conservationist. The dead male Rhino was found with it's horn gouged out and the tail was removed. Chitwan is the important habitat of Rhino. But the Chitwan National Park is again came into threat. Nepal has made a good example in the conservation of endangered Rhino species which is the subject matter to learn by rest of the world which are in the track to conservation of natural resources or wildlife resources. Nepal has been praised by vorious organization that works for the conservation of these Biodiversity of the Earth and to keep balance ecosystem. 1) Poverty: Many people in the developing Nation are under poverty line and most of people depends directly on the natural resources for fulfilling their basic needs. They don't have alternatives than to use these as to run their livelihood.The the people are poor the more possibility of exploitation of natural resources. People cuts down and cleared forest for fodder purpose, for building cottage and to trasfer the forest land into the agriculture land. Conservation and protection are not possible under poverty. The conservation without local benefits is not as effective as it should be. 2) Unemployment: This reason somehow associates with the poverty but unemployment also plays an vital role in the destruction of biodiversity or this creates a challenge for the proctection of biodiversity of the Earth as a whole. Unemployment creates a diffulcult to run their livelihood in a smooth way so if people don't get any job to do then they are force to do poaching types of illegal activities just only to feed their family and fulfill their basic needs. Actually they don't get much economical profit. 3) Unsecurity: The security around Protected area is not well found as it need to be which is proved by this poached activities recently observed in National Park. The developing country don't have enough budget for the protection and preservation of biodiversity of the place. The wildlife are in extreme risk as government can't provide necessary security in the protected area. The main focus of the developing countries are towards the development of infrastructure of the nation and programmes related to increase peoples social and ecolomical status. 4) Illiterate: People with less knowlege are not consious about the importance of wildlife and they mostly belives in their traditional belives and follow their rituals and culture. However in many religion their is the respect to the nature but they don't know about exact reason why they need to cosserve them and any inconvenient may occurs if they are not protected wisely. People are not concious about the concicoincess that they come due to carelessness. Activities only directed toward the benefities of people may give some benefities to the people for short period of time but conservationa and protection of wildlife and biodiversity as a whole is more fruitful to human being as well for long interval of time. 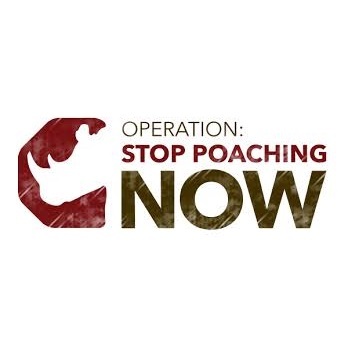 If you think their might be other reason that might have encourage the poachers then you can mentioned it below in the comment box.